Asha305 is a waste mobile . Its hangs many and more times. The youtube is not properly play. Automatically restart. the poor camera quality,there is no option to paste and copy text,etc... So pls friends dont buy this model. If u want to buy a good mobile go to another branded company like sony,samsung,htc,micromaxiphone, blackberry etc.. Nokia is cheatting their customers. 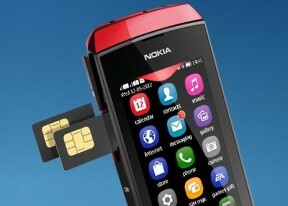 i have been purchase a nokia asha 311 & 305 but this mobile software not have been move a contacts and not visible in memory status for they separate in sim1, sim2,and,phone book.please reply me as best well us but how have been new update software for this model please guide to me,thank you. very very bad mobile, every time switch off, software problems all nokia phones. It is good phone with the price. But it is bad when using internet becose ths phone used network 2G so it cant support streaming video like ytube n others also whatsapp need 3G network.. But u can download certain video before watch inside phone..
this is a very bad phone..mp4 r not supported on dis phn..so don't puchase this phone..
Can any1 tell me whch video formats supports in dis 305?